People often tend to forget that in a game of cricket, it is not 11 players of each who are participating in it. There is a match referee and more importantly, a set of umpires to make decisions as to how the match will progress. However, here the focus is on the two umpires who grace the cricket field. Had it not been for good umpiring standards, no person would ever watch cricket again for the rest of his life since he wants to see a fair game of cricket. And to make the game reasonable is the responsibility of the umpire, whose duty is to make decisions impartially. A player always seem to get the credit and maximum popularity in cricket, but not umpires despite the fact that they have to stand for 90 overs per day in a Test match or for 100 overs in a one-day match, without getting a long break and has to keep his focus intact on the occurrence of all events on the field and on every delivery so that he makes correct decisions. To maintain high levels of concentration and physical fitness is extremely difficult in this professions and this piece salutes those men who have been able to do for a long period of time. Here are a few examples. Commonly known as Dickie Bird, he was born on April 19, 1933 in a place called Barnsley in the county Yorkshire in England. Dickie Bird was a high school dropout, having failed his board exams. Yet, he worked in a coal mine with his father until he decided to leave that too since he thought that he would succeed in a sporting profession. His first love however, was football. But due to an injury, he could continue pursuing the game and instead turned to cricket. 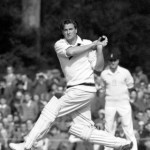 During the period between 1956 and 1964, he played first-class cricket as a batsman with his home team Yorkshire and later on, Leicestershire. He then took up coaching for a while, before deciding to become an umpire. Within three years of umpiring in county cricket, he was promoted to do the job in international cricket as well. His first Test match where he officiated as an umpire was when England were playing New Zealand in his home ground Headingley at Leeds. In this game itself, he gained recognition for stopping play due to fluctuating weather conditions and not declaring batsmen out leg before wicket. He came under heavy controversy during a Test match between England and Australia at the iconic Lord’s Cricket Ground in 1980, which incidentally happened to be the centenary Test between the two sides. It is because he did not permit play to begin on the morning of the first day’s play, due to the overnight rain which waterlogged some parts of the field. This is reasonable but not so much before the morning had pleasant sunshine and play could have been started much earlier than the eventual time of 3:45 pm. Dickie Bird has officiated in 66 Test matches which was once a world record. As well as 69 one-day internationals, which included the World Cup finals of 1975, 1979 and 1983. After the 1975 final, his famous white hat was lost and humorously he found it a year later on the head of a bus conductor in South London who had taken it off his head when there was a crowd invasion after West Indies won the match, deliberately. One of the best features of Bird’s umpiring is not just his mixture of intuition and reasoning, but also the respect that he was able to earn from any player due to his great sense of humour. That was the main reason why he was given a ‘guard of honour’ by the English and the Indian players in his final Test match as umpire at Lords in 1996, a game which was drawn but otherwise known for Sourav Ganguly’s debut hundred and Rahul Dravid’s 95. He was also given a standing ovation from the crowd, a rarity for an international umpire. He received the Officer of the Order of the British Empire (OBE) in 2012 for his contributions to the game of cricket and charity. David Shepherd is by far one of the world’s most popular umpires, even after his unfortunate expiry in 2009. David Shepherd was born in Bideford, Devon on December 27, 1940. 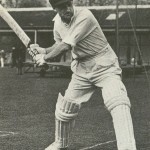 He had an illustrious playing career for the English county, Gloucestershire having represented the team for as many as 14 years and in that time, gaining the reputation of being pugnacious as a middle order batsman who once knocked the ball so hard that it injured a spectator who was reading a newspaper, and had to be taken to hospital. After two years of retiring as a player from county cricket, he qualified to officiate as an umpire in it in 1981. His rise was rapid as he was identified to be one of the most capable umpires around in the circuit and the most impartial, which made him debut in international cricket as an umpire in the 1983 World Cup in England, in a match between Asian rivals Pakistan and Sri Lanka at Swansea. Whereas his Test debut was in the 1985 Ashes Series in the fourth Test at Old Trafford, Manchester. 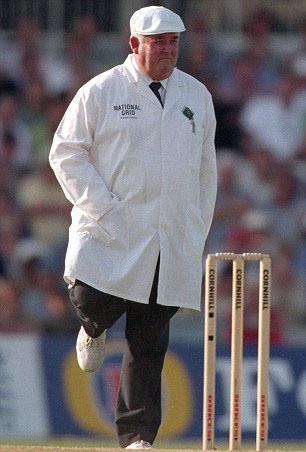 Incidentally, the other umpire who took field with him was Dickie Bird. Ever since, Shepherd had become one of the most proficient and popular umpires in the world cricket, with many rating him as the best to have umpired in the game of cricket. Moreover, his roly-poly figure and his light-hearted character had become his trademark over the years. But he will always be remembered the most for his incredible superstition of doing a little ‘jig’ or hop whenever any score would reach 111, also referred to as ‘Nelson’ or its multiples since it is considered unlucky for a batsman in English culture. Plus, whenever he used to signal a boundary, he had his own style of doing so, by shaking his right hand instead of sliding it across smoothly. This action is imitated by many cricket spectators when a four is hit, even these days. 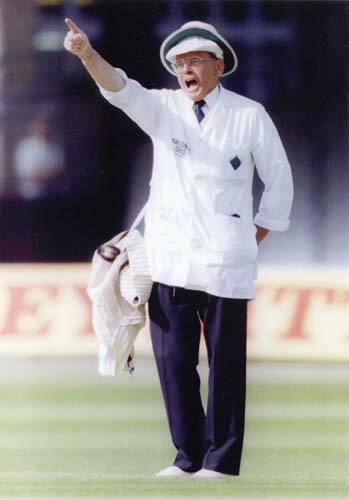 David Shepherd was one of the few umpires to be inducted in the ICC’s first ever panel of neutral umpires when it was introduced in the 1990s and maintained his place in it until his retirement from both Tests and ODIs in 2005, as his career spanned for more than two decades. He officiated in 172 ODIs, which included World Cup finals in 1999, 2003 and 2007. As well as 92 Tests, which ranks him third in the all time list of umpires who have officiated in the most number of Test matches, after West Indies’ Steve Bucknor and South Africa’s Rudi Koertzen. He was given a guard of honour by Australia and New Zealand’s teams in a Test series in New Zealand in 2005 when he stepped out on a cricket field and after his final Test which was in Jamaica between West Indies and Pakistan, Brian Lara, the cricketing legend gifted him a bat with a message which was filled with gratitude towards Shepherd’s services, memories and professionalism in umpiring. Shepherd was also awarded the Member of the British Empire in 1987 for his achievements in cricket. And married his long time girlfriend in 2008, a year before he expired due to lung cancer which was a tragic end to his life. Stephen Anthony Bucknor is by far one of the most experienced umpires to have ever officiated in the game of cricket, with 128 Test matches and 181 one-day internationals, spanning exactly 20 years. The West Indian was born in Montego Bay, St James, Jamaica on May 31, 1946 and is also one of the tallest umpires in cricket, being 6 feet 3 inches tall. He was earlier a mathematics teacher at high school level and sports coach as well, before actually officiating as a match referee in a FIFA World Cup qualifier match between El Salvador and the Netherlands Antilles in 1988. However, whatever happens does happen for the best as Bucknor had to quit being referee due to his age being 45 and the football rules do not allow anyone to be referee at this age or above. So, this made him take up umpiring in cricket instead having played cricket in his hometown and stumped by incorrect decisions taken time and again in the matches, which improved his judgement further. He made his international debut as an umpire was in a one-day international between West Indies and India at St. John’s, Antigua in March 1989, while in Tests his debut was in the same series at his home ground in Kingston, Jamaica. He reached a peak point, so much so that within three years in which he had umpired in a handful of games, he was still picked to officiate in the World Cup 1992 in Australia and New Zealand and more importantly was one of the umpires in the grand finale between Pakistan and England. In the 1990s, alongside David Shepherd, Steve Bucknor was chosen in the panel of neutral umpires until a change of policy in 2002. 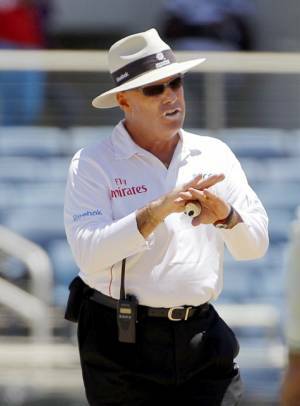 While he maintained his place in the ICC Elite Panel of Umpires until his retirement in March 2009. But he is the most distinctive since he is referred to as the ‘Slow Death’, due to the fact that he took a considerable amount of time to make an lbw decision and when he had made up his mind; he would nod gently and slowly raise that dreaded index finger of his. 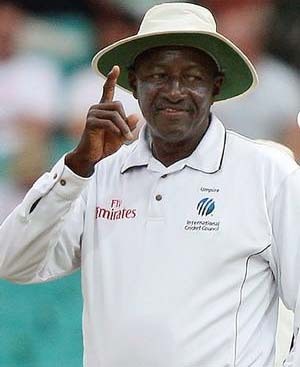 Steve Bucknor was the on-field umpire in the 1992, 1996, 1999, 2003 and 2007 World Cup finals, a terrific achievement for any umpire, which goes to show how much he was relied by the ICC to maintain the spirit of the game. Although agreed that it was due to his misinterpretation of the rules regarding how to conduct the game with respect to bad light that ruined the finish of the 2007 World Cup final in Barbados, which Australia eventually won. However, for Indian fans he will always remain a villain for his poor umpiring decisions in matches involving India which included the wicket of Sachin Tendulkar in the Brisbane Test against Australia in 2003, against Pakistan in 2004 and 2005 and more famously, the 2008 Sydney Test match where he was responsible for India’s defeat which could have been a victory due to pathetic decisions, which was the result of a tremendous workload set for him by the ICC. He was suspended for the World T20 2007 in South Africa and from the third Test at Perth of the Australia-India series in 2008. Yet, he remains one of the most legendary umpires to have graced the cricket field and consequently, was presented with an award in Cape Town after officiating in his final Test match in 2009, involving South Africa and Australia. Whereas, his last ODI was between West Indies and England at Barbados a month later. In his hometown Jamaica, he was awarded the Order of Jamaica, Commander Class for “outstanding services in the field of sports”. While the ICC awarded him with the Bronze Bail Award for officiating in more than 100 ODIs and the Golden Bail Award for completing a double of officiating in more than 100 Tests. Born on January 21, 1971 in an area called St Leonard’s in Sydney, Simon Taufel will go down as one of those umpires whose decisions were as accurate as that of an answer in a calculator of a mathematical problem. This is why he is the most liked contemporary umpires by many, with the likes of David Shepherd and Steve Bucknor not missed as much. He is the personification of the tagline ‘Simplicity is style’, with no features in him which make him look innovative as such. He has been the member of the ICC Elite Panel of Umpires since its inception and has won the ICC Umpire Award of the Year four times on the trot, between the years 2004 and 2008 which is easily a record by any umpire of all time. This is amazing, considering the fact that this was a man whose playing career was cut short by a back injury and had no intentions of ever becoming an umpire even at first class level at a point of time. It was due to one of his friends that he was able to overcome the trauma of not playing cricket and instead taking up the distinguished career of being an umpire. His rise in becoming a cricket umpire was at a brisk pace, having passed an exam to umpire in grade cricket in Sydney and then first class cricket at the age of 24. Within the next five years, he was seen umpiring for the first time in a one-day international between Australia and Sri Lanka at his hometown Sydney in January 1999, eight days before his 28th birthday. And then he made his umpiring debut in Test cricket in a match between Australia and West Indies at Melbourne in December 2000. He has the distinction though, of being one of the most experienced umpires in the Elite Panel despite being its youngest member of all, making him a ‘success story’ for youths who aspire to become umpires any time soon. However, a calendar year packed with excessive cricket takes on the mind of the umpire the most rather than a player and Taufel has admitted to suffer from it, so his umpiring future remains uncertain until the 2015 World Cup which is in Australia and New Zealand. Unfortunately, the brilliant Taufel has also been the victim of Australia’s decade-old dominance in one-day cricket which has denied him to host two potential World Cup finals, in 2003 and 2007 and two ICC Champions Trophy finals, in 2006 and 2009. 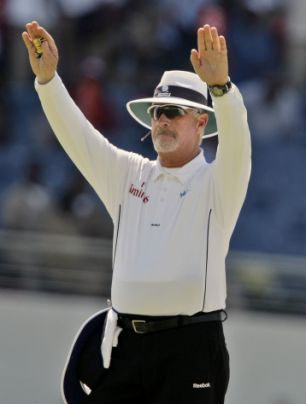 Yet, he did umpire in the ICC Champions Trophy final in 2004 involving West Indies and England as the teams playing. While his dream came true of umpiring in a World Cup final in 2011 in Mumbai when Sri Lanka took on India, the team which knocked Australia out of the tournament in the quarterfinals. His concentration has not deteriorated one bit, although his confidence has increased by the day as he has become advanced in umpiring, learning the tricks of the trade quickly. It is due to this that he was the youngest umpire to receive the Bronze Bails Award by the ICC for officiating in more than 100 ODIs and also the most experienced umpire in T20 internationals, having officiated in 22 of such matches. The worst moments of his career were the 2009 terrorist attacks in Lahore on the Sri Lankan cricket team where he was one of the on-field umpires. He could have not been here today, but was quick enough to criticize the Pakistani security forces. Whereas on the field, he took two back-to-back wrong decisions in the Nottingham Test between England and India in mid-2007. His accuracy otherwise is spot on and he is still the most sought-after umpires in cricket, with his only aim now being to reach the golden landmark of officiating in 100 Tests, as he is stuck on 66 at the moment. The best umpire at the moment in international cricket is none other than Aleem Sarwar Dar. He was born in Jhang, Punjab on June 6, 1968. He did have the desire to play for Pakistan some day, as he had a long first-class career in which he represented teams such as Pakistan Railways, Lahore, Gujranwala and Allied Bank Limited for more than a decade. But he was not a big success and by the time he turned 30, he decided to quit playing and instead pursue umpiring in the game. It was incidentally in Gujranwala that he made his ODI debut as an umpire in a match featuring Pakistan and Sri Lanka in 2000, at the ‘tender’ age of 32. Within two years, he was awarded the membership of the Emirates ICC International Panel of Umpires and in another two years, a place in the ICC Elite Panel of Umpires which has some of the best umpires in the game according to its governing body. Dar become the first Pakistani to be a part of it, a massive achievement indeed. His Test debut though was in a match between Bangladesh and England at Dhaka in October 2003. Aleem Dar has stood in matches of intense rivalry which includes the iconic India-Pakistan ODI matches as well as the five Ashes Test matches till date. He was also seen officiating in the final of the ICC Champions Trophy 2006 in Mumbai between Australia and West Indies and also two World Cups, that of 2007 in Barbados and 2011 in Mumbai once again. However, he would not like to bury the ghosts of the 2007 contest because that was the day he was suspended from officiating in the World T20 in South Africa alongside Steve Bucknor for misinterpretation of rules regarding play in bad light. 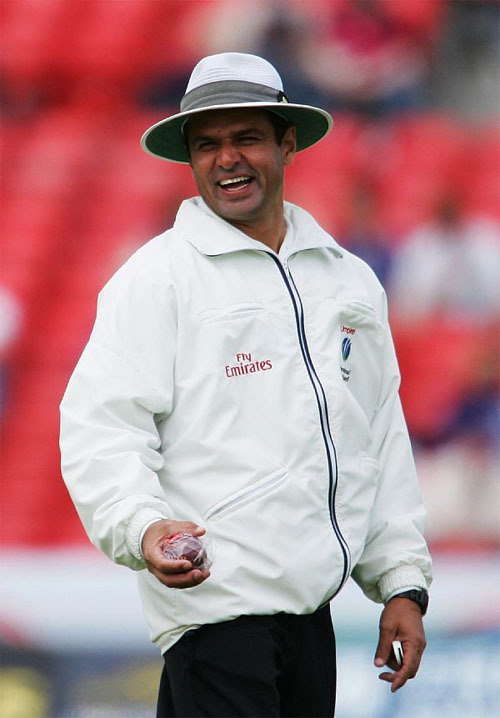 Aleem Dar is the second most experienced umpire in T20 internationals, having officiated in 18 of them and had also umpired in the World T20 final in 2010 between Australia and England at Barbados. 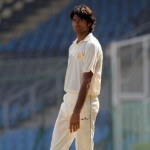 His debut was in a match between Pakistan and Australia in Dubai in 2009. His spot on accuracy was given tribute to, in the 2011 World Cup where all the 15 lbw decisions he had taken in the competition were approved by the UDRS system and as a result the decision remained the same and not overturned. Dar was nominated for the ICC Umpire of the Year Award in 2005 and 2006, but lost out to the Australian Simon Taufel whose reign at the top lasted till 2008. It was Dar who succeeded him by receiving a hat-trick of the award, in the years 2009, 2010 and 2011 respectively. He alongside Taufel are the youngest members of the Elite Panel and the only ones to have been rewarded by the ICC till date. He has officiated in 68 Tests and 146 ODIs, and Dar’s achievements were recognized by the Government of Pakistan as well which decided to hand him the Pride of Performance Award in the year 2010 which only a few distinguished people from different fields get, which can be considered equivalent to the Member of the British Empire title in England. He can hope to carry on for long with age on his side, with the only impediment in his path being the excessive cricket played these days with the Indian Premier League and other T20 competitions across the world being another burden on the head which cannot afford to lose its powers of concentration. Rudolf Eric Koertzen has definitely been one of the veterans when it comes to umpiring on the cricket field, having officiated in 206 ODIs, 108 Test matches and 14 T20 internationals. The South African was born in the town of Knysna, which is one of the closest to the city of Cape Town. He was said to be an ardent cricket fan since childhood, which prompted him to play for South African railways while he worked there as a clerk. However like most of his colleagues mentioned above, he turned to umpiring and qualified to become one in the year 1981. His ODI debut as umpire was in a match between South Africa and India at Port Elizabeth in 1992 while his Test debut was on the same tour and incidentally the same venue, that too at the age of 43. This was the first series in cricket where television replays were used to assist making decisions with regards to run outs or stumpings, therefore having a third umpire acting as a TV umpire for the first time as well. He was declared as a full time umpire by the ICC in 1997, which was the fruit of his professionalism and his rising fame due to his ‘slow motion’ style raising of the index figure to declare the batsman out, similar to Steve Bucknor but much slower than him too. But his fame was wide-spread, even amongst bookies who wanted to fix some one-day matches in 1999 through him in the form of poor umpiring decisions and in return giving him a huge sum of money. He bravely refused the offer, for which he was highly appreciated. However, parts of the years 1999, 2000 and 2001 were the toughest of his career as the beginning of 2000 saw the Test match between South Africa and England played at Centurion, which is now infamous due to Hansie Cronje fixing the match in favour of England, but still Koertzen was accused due to his involvement as one of the on-field umpires in the match, which gave him the right to explain the players the procedures regarding the forfeiture of an innings. While in 2001, Sri Lanka played England in a Test match in Kandy in Sri Lanka. England won by 3 wickets but there were several poor umpiring decisions been taken in the game, which were against the home team. The Kandy match made a huge impact as the series was leveled at 1-1 and the final Test was also won by the visitors, handing them a 2-1 series win out of 3 Tests and a rare Indian subcontinent victory for England. But following all those incidents, Koertzen’s umpiring career has moved more or less smoothly. He officiated in the ICC Cricket World Cup 2003 final in Johannesburg between India and Australia as the third umpire and playing the same role in the 2007 final in Barbados, where unfortunately he was suspended from umpiring in the World T20 2007 due to being in the umpiring team in the game, which had members such as Steve Bucknor, Aleem Dar and Billy Bowden. Besides, he officiated on the field in the finals of the ICC Champions Trophy in England in 2004 and in India in 2006. He has officiated in 108 Test matches, which is the third highest of all time and 206 ODIs, which is a world record, as he took it from David Shepherd. Also he has never been the recipient of the ICC Umpire of the Year Award; he is the first umpire to be awarded the Bronze Bail Award for officiating in 100 ODIs alongside the Silver Bail Award for officiating in 200 ODIs. As well as the Golden Bail Award for officiating in 100 Test matches. Koertzen retired from the game in July 2010 with his last Test being the one between Australia and Pakistan at Headingley while his last ODI was between Zimbabwe and India at Harare a month prior to the Test match. Brent Fraser Bowden, popularly known as Billy Bowden, was born in Henderson in the city of Auckland on April 11, 1963. The 48 year old has gained the maximum popularity in the last decade or so with his antics on the field, which are a rarity to see an umpire doing so. They include declaring a batsman out with a ‘crooked’ finger rather than normally raising the finger up straight. To signal a four, there is a ‘crumb-sweeping’ wave of the arm while to signal a six, his signal is called the ‘double crooked finger six-phase hop’. As well the fact that to ask the TV umpire to make a decision, he would do an action resembling a square being cut from both his hands rather than just making a normal square with a few fingers. All these attributes attracted the global cola giant, Pepsi for the World Cup 2011 in the Indian subcontinent and Bowden was asked to act in an advertisement advocating his way of using a crooked finger to give the batsman out, which in India it was called the ‘Tedi Ungal’. However, as funny as it may look to the naked eye, there is a valid reason why Billy does this. It is not just for the entertainment of many, but also the fact that he suffered from rheumatoid arthritis in his early 20s which made him quit his playing career and take up umpiring. Due to the disease, it gives him pain to declare a batsman out in conventional fashion. It was in March 1995 that Billy umpired in an international fixture, a one-day international between New Zealand and Sri Lanka at Hamilton. But it was only after exactly five years that he got the opportunity of officiating as an on-field umpire in a Test match. That was between New Zealand and Australia at Auckland. In T20 cricket, he was one of the first umpires to have officiated in this format as his debut was the first ever T20 international which was incidentally between New Zealand and Australia at Auckland in February 2005. In 2002, he was promoted in the Emirates Panel of International Umpires which was followed by umpiring in some of the matches in the World Cup 2003 in South Africa and being the fourth umpire in the final at Johannesburg. With continuously good performances, he was finally given membership in the Elite Panel of Umpires and since then, there has been no looking back for him. In the 2007 World Cup in the West Indies, he officiated in several group and Super 8 games, but was again the fourth umpire in the final at Barbados, where he too was suspended from umpiring in the ICC World T20 in South Africa a few months later. He has been involved in some horribly wrong and consequently match changing decisions in Tests. For instance, the wicket of Virender Sehwag off the bowling of Glenn McGrath in the second innings of the 2004 Bangalore Test match where Sehwag was given out despite there being a huge inside edge onto the pads. While a year later, and Bowden was the man to declare the Australian No.11 Michael Kasprowicz out off the bowling of England’s Steve Harmison when it was not sure whether the ball hit his glove to loop in the air. It was the last wicket of the match and England won the Birmingham Test by 2 runs to square the Ashes 1-1, and go on to win the series 2-1. Yet, Bowden is one of the most reliable umpires in the game at the moment if not the greatest. He is also the proud recipient of the ICC Bronze Bails Award for officiating in 100 ODIs. He has also officiated in 70 Test matches and 19 T-20 internationals. Daryl John Harper was born on October 23, 1951 in a suburb called Mile End in Adelaide in South Australia. He initially was a primary school teacher by profession before trying his hand in the Australian Rules Football Competition as an umpire, until he had to retire from the game due to injury. But when it comes to cricket, he has had some playing experience, having turned out for the Teachers’ College and East Torrens Clubs respectively in Adelaide grade cricket. However, that did not last for long as well as he decided to switch to umpiring in 1983, and made his first-class umpiring debut in 1987, as a 36-year old. It was seven years later that Harper would go on to feature in an international cricket match, which was a one-day international at the WACA, Perth between South Africa and New Zealand. While it was in November 1998 that he made his first appearance as umpire in Tests, perfectly at the WACA as well, in the Ashes Test match. 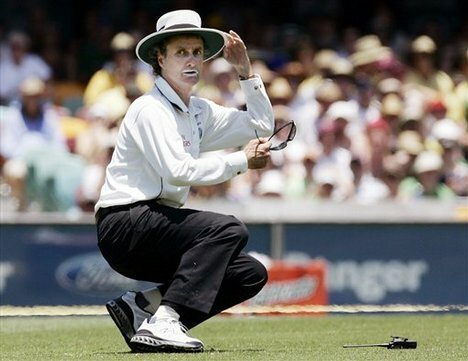 He also featured in the Boxing Day Test as one of the on field umpires. His rise was as high as his fall. 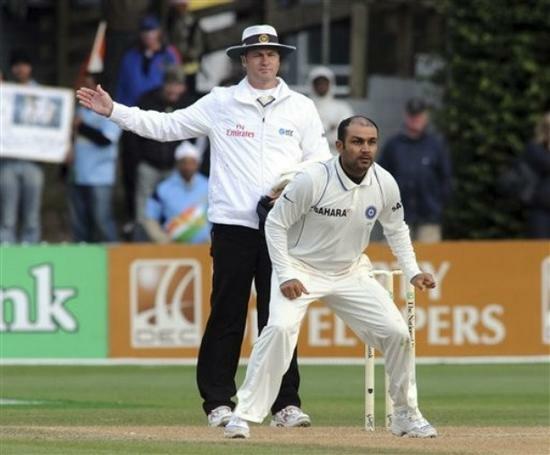 In 2002, he was considered to be much better an umpire than his Australian counterparts, Simon Taufel and Darrell Hair. So much so that he was the first from his country to be elevated to the Elite Panel of Umpires by the ICC, and selected to officiate in the curtain raiser of the 2003 World Cup in South Africa, between the hosts and the West Indies team. He also featured in the semifinal between India and Kenya. His 100th one-day international as an umpire was the match between Zimbabwe and New Zealand at Harare in 2005 in a triseries which also involved India. But his fall began in 2009 when he made several errors after being selected for a trial of using of what is now called the UDRS system. In 2010, on England’s tour of South Africa, it was in one of the Test matches that Harper could not detect a ball clearly kissing the outside edge of the bat and when referred, his decision was upheld which was actually a wrong one. For this matter, the England team management filed a formal complaint against Harper and many cricketing pundits demanded his ouster from the game as an umpire. Come India’s tour of West Indies in 2011 and Harper did a Bucknor by creating a furore in the Indian ranks due to three poor decisions in the first Test match. India decided to use the muscles it has in terms of its financial clout in the ICC to suspend the contract of Harper and effectively oust him from the Elite Panel of Umpires. Following the next Test, he retired from officiating in all formats of the game. However, he was definitely one of the senior most umpires in his era having officiated in 94 Test matches, 174 one-day internationals and 10 T-20 internationals. Want to be a good Cricket batsman? Make sure you are short ! !